Few people are born with a perfect smile. Maybe you’ve looked in the mirror and wished your teeth were brighter, shaped differently or that the lines in your face didn’t appear so deep. At Hart Dental, we can help you achieve the look you want using our full suite of cosmetic dentistry solutions. Crown lengthening –This procedure addresses what is called a “gummy smile,” which is when teeth appear short. Though your teeth are likely the proper length, they’re covered with a greater amount of gum tissue than they should be. With a dental crown lengthening procedure, we’ll expose more of the tooth so that you have a picture-perfect natural smile. Porcelain veneers – Veneers are a thin shell that covers the existing teeth. They’re suitable to mask imperfections such as discoloration, chips, gaps and misalignments. We’ll evaluate your teeth and discuss whether they’re right for you at your first appointment. Teeth whitening – If you have tarnished teeth due to age, smoking or consuming coffee, tea, wine or dark-colored foods, our teeth whitening solutions can brighten your smile by several shades. We offer Opalescence in-office whitening and take-home trays. Teeth contouring – For teeth that are crooked, jagged, too long or overlapping, teeth contouring is an ideal solution. It’s fast, effective and painless. Botox & Juvéderm – Would you like to turn back the clock and diminish the signs of aging? With Botox wrinkle relaxer, you can rejuvenate your appearance. As well, Juvéderm facial filler can fill in those unsightly lines, giving your skin a more youthful, smooth appearance. Do you offer smile makeovers? Yes. Smile makeovers are for people who would like more complex dental work. 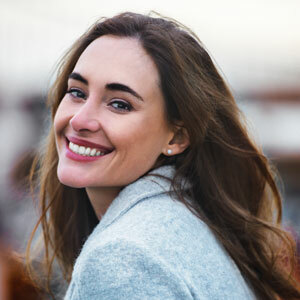 Often, a smile makeover is made up of a combination of our cosmetic dentistry services, such as veneers and teeth whitening. We’ll discuss your goals with you and make our recommendations, deciding together how best to achieve your desired objectives. What are the costs of cosmetic dentistry? The total fees involved will depend on which services you’d like to have done. We’ll discuss all costs with you before moving forward so that you know exactly what to expect. We offer affordable payment plans with 0% financing to help you get the smile you want. Are you ready to get started? Contact us today! Same-day appointments are available.